The birth of Jesus is about promises God kept. God continues to keep His promises to provide a way out for people, like each of us, who have trouble keeping ours. Humankind is in kind of a mess right now, but God keeps on fulfilling His promises. During this year, we have seen him keep promises to our family, and we look expectantly to him to see how He will make good on his promise to bless all of mankind. May Christmas be a time in which you see God at work, actively fulfilling promises to do good to all those who need and depend on Him. Greetings from New Zealand where we are visiting Emily and Erlo right now. Lois and I are in New Zealand for Christmas. We will spend Christmas with our daughter Emily who lives in Auckland. Emily met Erlo Jones when they were both teaching English in Korea, and they got married this last April in Koh Samui, Thailand. Erlo is a Kiwi (a New Zealand citizen, born in South Africa), and they both found jobs here in New Zealand. Our first few days here with them have been a wonderful time for us to learn about their lives, and to discover some of the beauty of this lovely country. We will spend Christmas with them, and with Erlo’s parents in Rotorua. 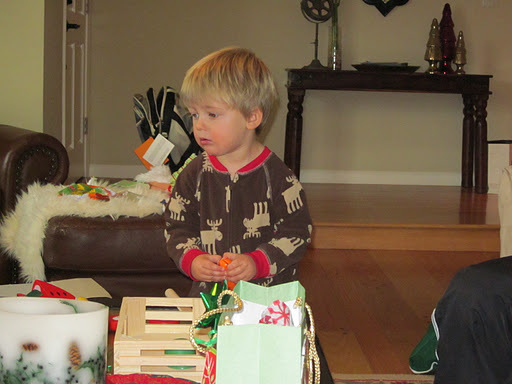 Before we left, we celebrated Christmas with our daughter Angela, son-in-law Shaun and little Parker. They live close by in San Jose, California and we enjoy visiting them regularly and getting grandparent time with Parker. We will miss spending Christmas with Marian, this year. She will be coming to California from Madison, WI, where she is working on her dissertation, but we will only catch one day with her. She leaves just one day after we get home. But we did have a great time with her at Thanksgiving. Some friends loaned us their cabin in Arnold, CA, for us to spend a week with the family. 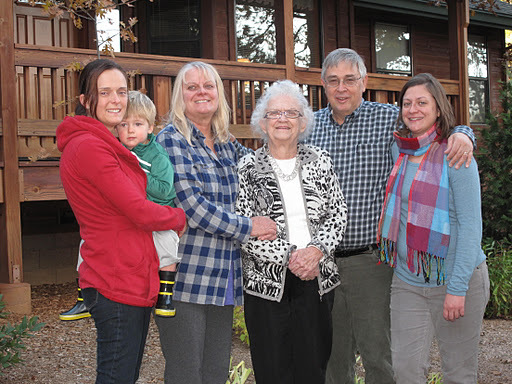 Lois’ mom, Eleanore Holderman, joined us for the whole week. 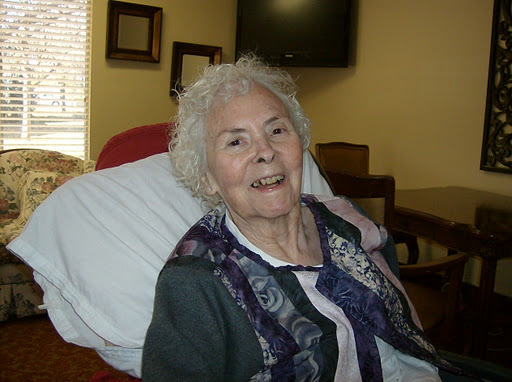 Tim’s mom, Pat Halls, continues living at Plymouth Village in Redlands, CA. He gets down to visit her every month or so. Just before we left for New Zealand he went there to deliver a gift that Lois made, and that made her very happy! One more very important thing. 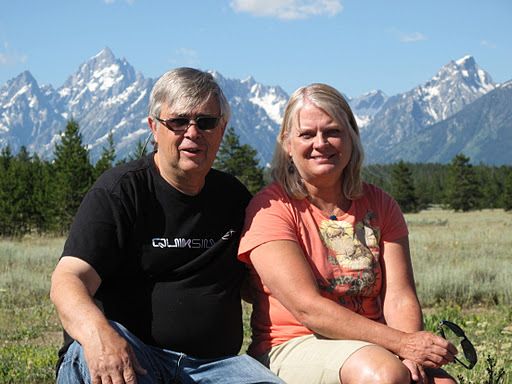 We celebrated 35 years of marriage this last summer, with a visit to Montana. In addition to Glacier, Yellowstone and Grand Teton National Parks, we visited four universities in Montana. We are grateful for God’s incredible and abundant generosity and mercy toward us. And we are grateful to all of you who are part of our lives and for your prayers and support. Novermber 2011: I am not a very good blogger! So, I started blogging again in October, and now it is December, and no posts! Well, it’s not like I have been sitting around on my hands during November and December. I will try to put some things up here for you to see: about COMHINA, WEA Missions Commission in Germany, Perspectives Class at Trinity Pres in Santa Ana, Thanksgiving with the Family, working on my research project, and now, Christmas and our family. 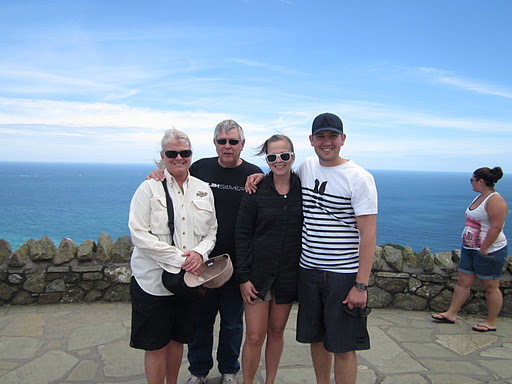 Our youngest daughter, Emily, lives in New Zealand with her husband, Erlo. Here is my version of their story. For the last two years I have watched as my daughter met, fell in love with and married the man of her dreams. We first heard of Erlo, practically on the day they met in Seoul, Korea, while we were on vacation in Alaska. Interestingly, we met a couple from New Zealand on that trip, and I remember how the fact that Emily had met and liked a young man from New Zealand came up often as we spent time with our new friends. Later that summer, Emily came home to California on her way to her best friend Bethany’s wedding in Mexico. She told us then that she had met, in Erlo, someone very special. And he was waiting for her at the airport when she returned. In December, when Emily came home from Korea for Christmas, she brought Erlo with her, and we learned to love him from the very start. 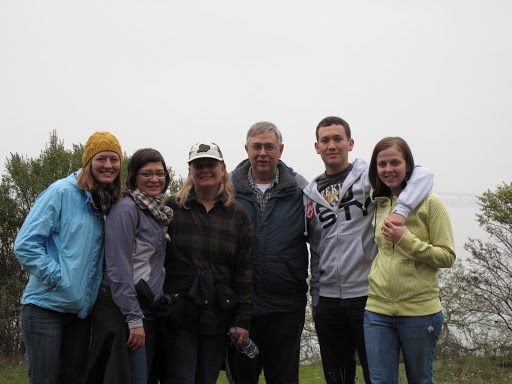 We took this picture when we took a family hike on January 1, 2010. Emily came to our family vacation in Hawaii, in summer 2010 without Erlo. But the vacation was marked by talk of an upcoming wedding. Erlo and Emily came back to California when their contracts were over in Korea and lived with us for several weeks as they prepared to go to Thailand for their wedding. Technically, though, they got married in our living room, in our presence and in the presence of Erlo’s parents who joined us from New Zealand via Skype on March 25, 2011. It was a very special occasion in which we and Erlo’s parents told stories to Emily and Erlo about how and when we first recognized their love for each other and we toasted to their future. While Erlo was here he helped me with several important landscaping tasks on our property. Since we were blessed only with daughters, it was pretty special to me to have a son around the house for several weeks. 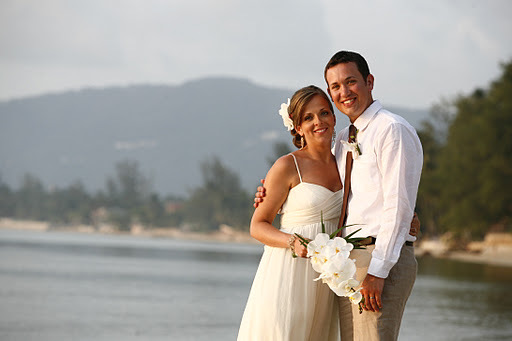 We all traveled to Koh Samui, Thailand during the first week of April for their wedding on the beach. That is where we met our new extended family and developed new friendships that will last the rest of our lives. Emily and Erlo came back with us to California, to get their things, and for a reception for their US friends in Oakland, California on April 30. We said goodbye as they moved to New Zealand on May 5. We miss them very much, but we have enjoyed visiting with them by Skype and we plan to travel to New Zealand to spend their first Christmas as a married couple with them and with Erlo’s parents. We are looking forward to that! Like I said above, we have learned to love Erlo and consider him just as much a part of our family as we do Emily. Today is my birthday. 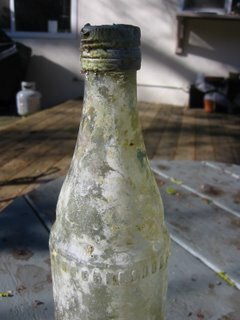 If it dries up enough, Lois and I will go out to Point Reyes for a nice walk. Tomorrow Angela and Shaun will join us for dinner. Point Reyes was great. We started at the south trailhead of the Coast Trail, turned toward the beach at the Palomarin trail and went down the beach. 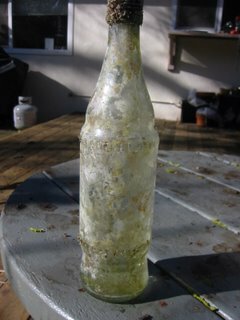 We picked up a bottle that looked like it had spent a lot of time at sea! Unfortunately, it didn’t have a message in it. But that would have been a little hard to do because the screw on cap was still sealed! It had barnacles on it and it looks like it is a little crooked, that is, the base is not straight, so when you sit it on a table, it leans a little to one side. Best of all, it doesn’t have any brand markings or names on it, and it looks a little crude in its manufacture. We got the idea that it is not from the USA. So we brought it home in hopes of figuring out its story some day (right!). Since the theme is “getting old”, it works for a hopeful retirement project (still a long way off!). Afterwards Lois took me to Caffè Trieste in Sausalito for a bite to eat complese with a live Jazz band and Marimba. Along with the Marimba the guy waiting the tables just gave me the feeling that I should go up to him and say, “Usted ¿De qué parte de Guatemala es?” But, by his looks, you might wonder if he spoke Spanish. ¡Qué el lector entienda! This is the way I like to celebrate my birthday.